Some people say that if you change your makeup, it can change your life and we couldn’t agree more! You would too if you tried a mineral makeup that enhances your natural beauty, gives you exceptional coverage, won’t clog your pores, protects skin from sun damage, is anti-irritable…. and the list goes on! Back in 1994, the skincare game was changed when the wonderful Jane Iredale introduced a new line of makeup that actually had skin care benefits! Using the highest-quality minerals available and organic ingredients when possible this makeup actually nourishes your skin. 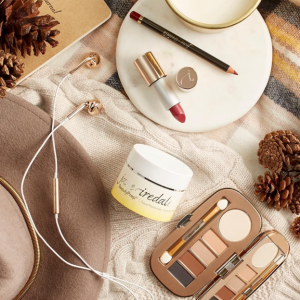 Jane Iredale offers a wide range of cosmetic products, from BB creams and liquid mineral foundations to beautiful eye shadow palettes and spirited lip colours that taste as good as they look. Whatever your makeup needs are, Jane Iredale has something for everyone. The brand is not only available in Australia, it’s also available across the globe in more than fifty countries, and better yet, it’s available here at La Peau Skin Rejuvenation. Can’t ‘make-up’ your mind about which range to use? That’s ok. Stop by and let our experts demonstrate why everyone needs a little bit of Jane Iredale in their life.